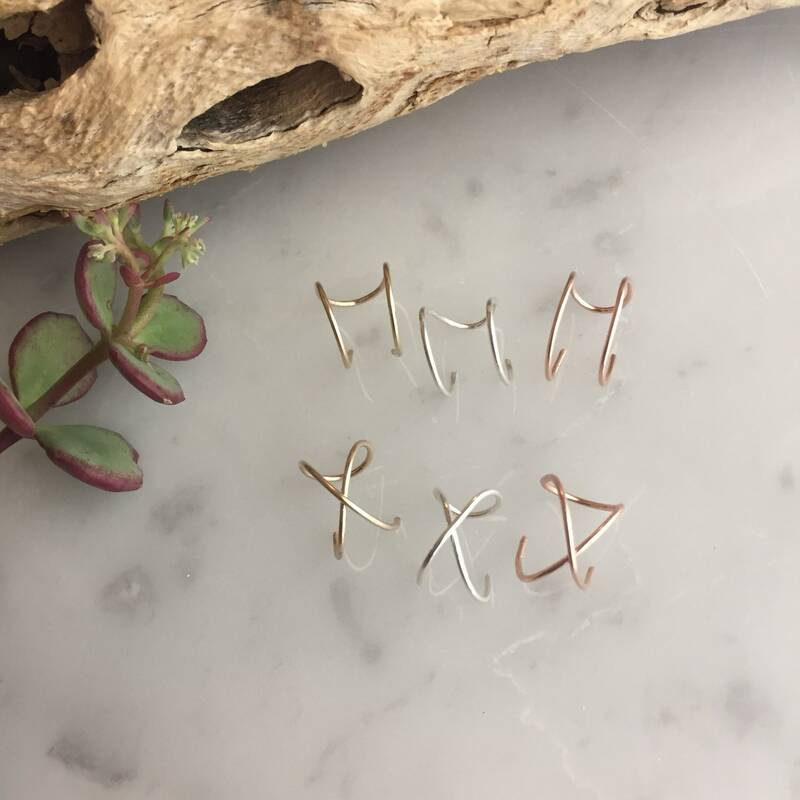 These ear cuffs are lightweight and dainty making them an effortless addition of just the right amount of sparkle and style. They are handmade from sterling silver, 14k gold filled or rose gold. The cuff earring simply slides on to the outer edge of the ear for a snug fit, no piercing required. They’re available in two styles: double ring or crossed. This ear cuff will need to be fitted carefully so that it retains its shape. ** Adjustable and easy to fit, just slide onto the slimmest part of your ear with the two prongs in front and looped end behind your ear, move to a comfortable position and squeeze gently into place. If you need it slightly larger, gently pull the ends apart.